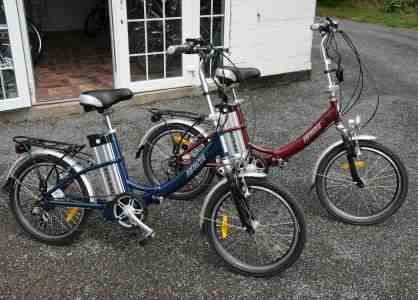 The Breeze has been a popular bike this summer, it's attractive retail price of £749 has been matched by it's features. Three levels of pedal assist, twist grip throttle, 36v lithium battery and a 20 to 40 mile range plus the added advantage of being a folder give this bike great kerb appeal. Just when you thought it couldn't get any better we've added another colour, side by side they look amazing!